Montgomery County – $30 for a 1-year subscription to Us Weekly magazine. Phoenix – $35 for $100 worth of photo services from BritePix. Shipping not included. San Jose – $20 for 1 month of unlimited boot camp classes from BCOR Fitness. Valid at any location nationwide. Providence – $19 for a 30-page hardcover classic photo book from MyPublisher. Chattanooga – $20 for $40 worth of baby and kids gear and accessories from ecomom. Shipping is free on orders over $50. Philadelphia – $15 for a 1- year subscription to a Zoobooks magazine. Choose from Zoobooks, Zoobies or Zootles. Includes a poster and stickers. 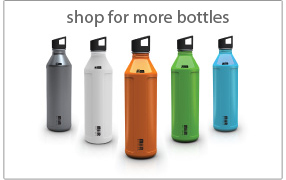 Northern Kentucky – $11 for a 600 ml, $12 for an 800 ml, or $23 for 2 800 ml water bottles with any lid, color and skin from MiiR. Shipping starts at $5.